You can’t control how noisy your environment is. But you can control how much of it you hear. Set your own levels of noise cancellation with QuietControl® 30 earphones, and get balanced audio performance at any volume. A lightweight neckband design conforms to your body for all-day wearability, and a Bluetooth® connection keeps the wires out of your way. Leave the wires behind—without sacrificing performance. The volume-optimised EQ delivers consistent, balanced sound at any volume. If you’re on a busy street and need to turn it up, the sound stays true to your music. 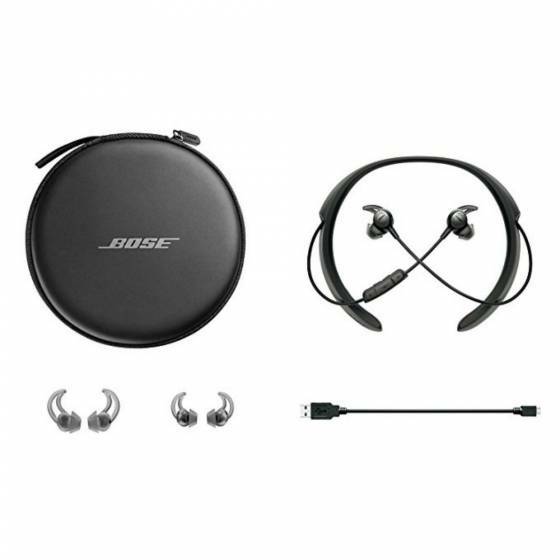 And they’re re-engineered with Bluetooth® and NFC pairing, so connecting to your devices wirelessly is quick and easy. An inline remote lets you take/end calls, skip/pause tracks and control volume without reaching for your device. So you can focus on the music. features don't just cancel noise. Control it. You can’t control the world at large. But now you can control how much noise you hear. QuietControl™ 30 wireless headphones let you listen like never before, with breakthrough proprietary technology that allows you to control how much of the world you want to let in—or how quiet you want your surroundings to be. QuietControl™ 30 wireless headphones are engineered with Bluetooth® and NFC pairing so you can connect to your devices wirelessly and stream your music at the touch of a button. You want to hear your music, not feel the weight of your headphones. 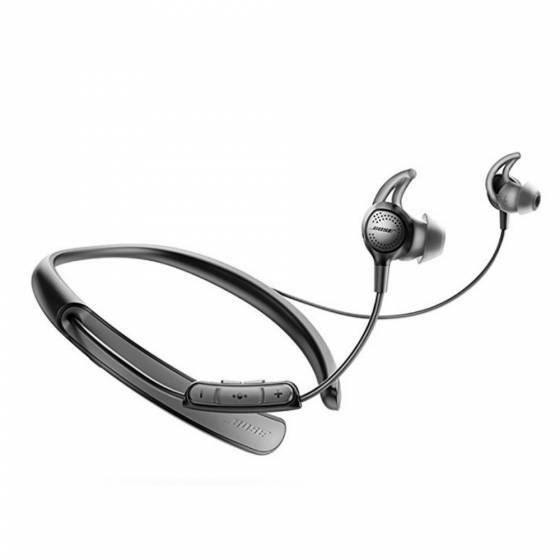 QuietControl™ 30 features a lightweight neckband that conforms to your body for all-day comfort and wearability. 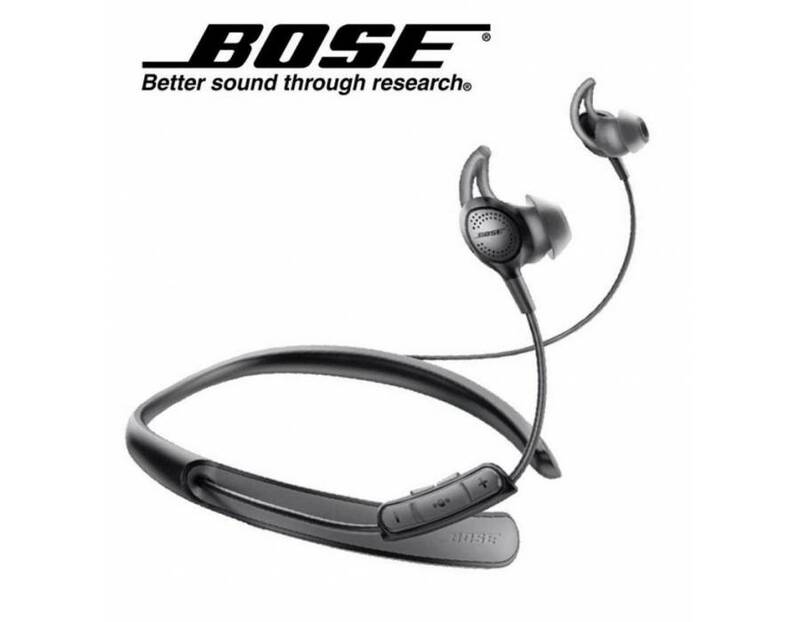 Volume-optimised EQ ensures Bose® quality audio at all volume settings. In addition, QuietControl™ 30 also features a noise-rejecting dual-microphone system that provides clear calls, even in windy or noisy environments, voice prompts and an intuitive interface. A lithium-ion battery that delivers up to 10 hours of continuous play time means you’ll have the stamina to power through an extra-long flight, enjoy your work commute or just carve out your own slice of noise cancelling paradise for hours on end. 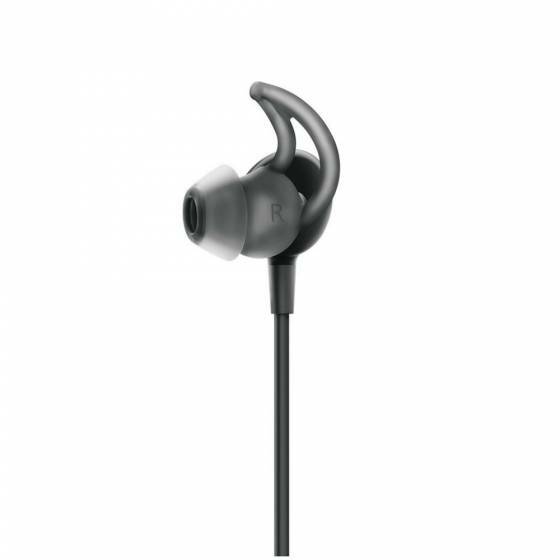 While both headphones offer noise cancelling in an in-ear headphone, QuietControl 30 headphones have the added benefit of controllable noise cancelling, which allows the user to adjust the level of noise cancelling. The neckband design is comfortable enough to wear all day. 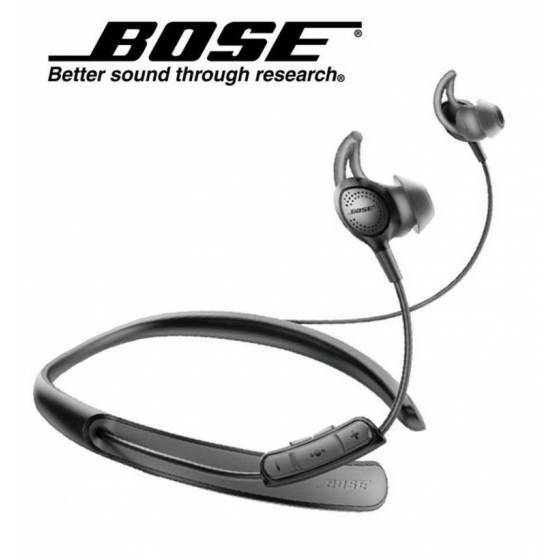 The headphones offer volume-optimised EQ, which ensures Bose quality audio at all volume settings. In addition, QuietControl 30 offers features like a dual-microphone communication system, voice prompts and intuitive controls. All of these features come in a convenient, wireless headphone. QuietControl 30 headphones do not have a wired backup for either noise cancelling or passive audio, so they cannot be plugged into in-flight entertainment systems like QC®20 headphones can. 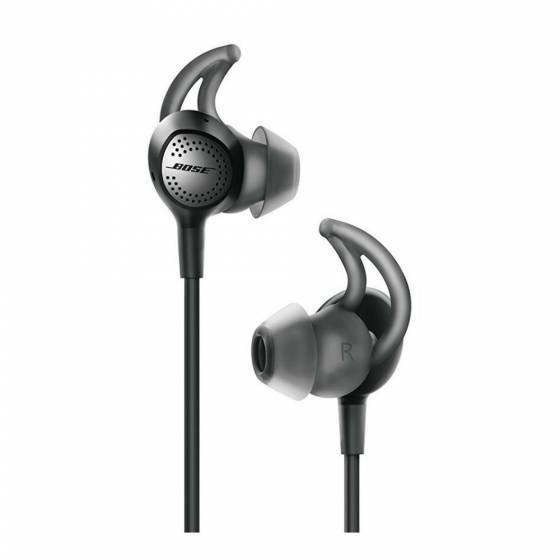 QuietControl 30 headphones have a range of up to 10 metres (33 feet) from the source device. It is realistic to describe the range as being the room the user is in and the adjacent room. This range may be reduced by physical obstructions, such as walls and doors, or by interference from other electronic devices. 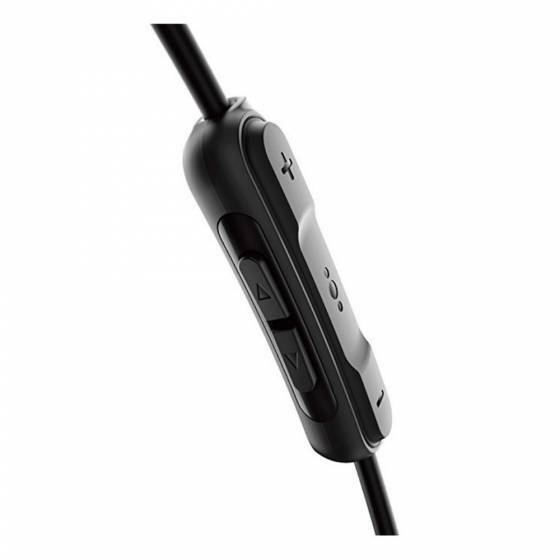 QuietControl® 30 wireless headphones can be charged using the USB cable supplied in the box by plugging the micro-USB into the neckband and the USB into the USB port on a computer or a wall charge (sold separately). Allow up to three hours for the headphones to fully charge. (If the battery is depleted, a quick 15-minute charge provides approximately one hour of play time.) While charging, the power status indicator will flash amber. Once fully charged, the power status indicator light will turn solid green. There are a total of five buttons on the remote located on the right cable. Three buttons are grouped together on the right face of the remote. The larger middle button is the multi-function button. It initiates play/pause and other track controls for videos and music, answers and ends calls, and also can initiate voice commands such as Siri or voice dial. The buttons on either side of the multi-function button are volume +/- buttons. They allow the listener to easily adjust volume in an intuitive up/down vertical orientation.Additionally, two buttons are located on the back of the remote. These buttons control the level of noise cancelling. To increase the amount of noise cancelling, press ▲ (the top button). To reduce the level of noise cancelling and hear more of your surroundings, press ▼ (the bottom button). The StayHear+ QC tips are made of the same soft silicone material as the original StayHear tips, but they utilise a unique umbrella shape to create a gentle seal at the entrance of the ear canal. Bluetooth® and NFC pairing let you connect to your devices wirelessly. Designed to work with all Apple (iOS), Android and bluetooth enabled devices.